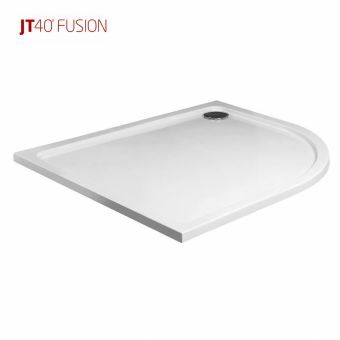 Maximising the space available in more modestly sized bathrooms or en-suites is made simple with this Quadrant Slab shower tray from the Simpsons range while retaining a distinct sense of style and fashion. 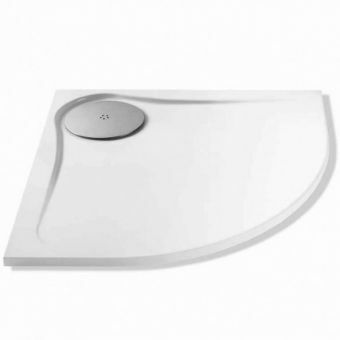 Handmade from only natural materials, this curved corner shower tray is the perfect template for those wishing to optimise the interior dimensions of their living space without compromising on quality. 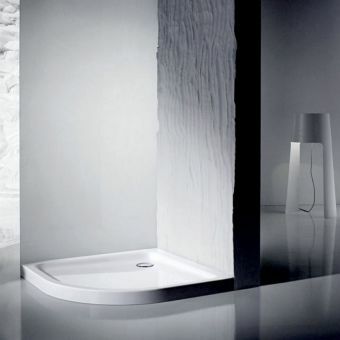 Gleaming white in natural mineral and coated with a protective gel, it is a beautifully minimalist bathroom fitting. 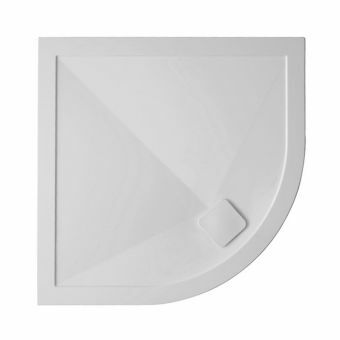 Its natural curve is suited for contoured panelling, so please see our range of curved corner shower enclosures, or contact our sales team who will be happy to advise further. 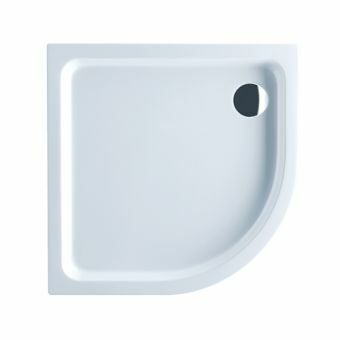 The tray features a 90mm high flow waste, with an attractive square steel waste cover plate. which is 135 x 135mm. 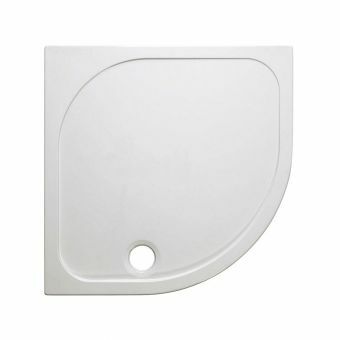 This is removable for cleaning and if you need to gain access, but cleaning will not be required often: as this is a high flow vortex waste. 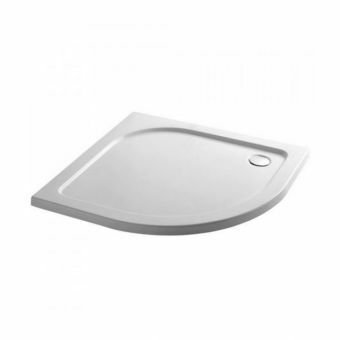 These types of wastes are generally considered self-cleaning, as the water swirls out in a vortex, dirt and debris are swept away with nowhere to sit and build up. 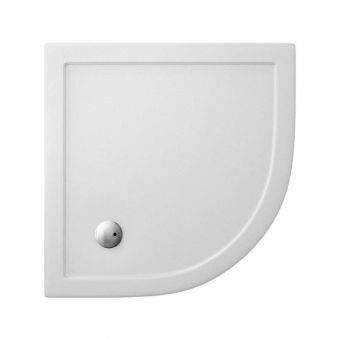 Riser kits are available for 800 x 800 and 900 x 900mm trays but these are made to special order and take up to 3 weeks to manufacture. Please call if these are required.